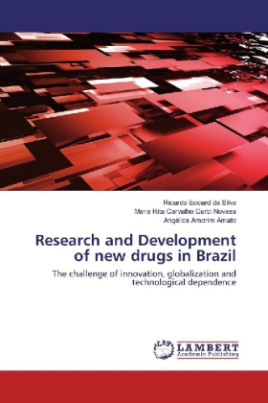 Brazil's incipient capacity for innovation in the production of new drugs has been reflected in the deficit in the balance of trade. Brazil imports pharmaceutical products and drugs, in order to meet the population's needs. Among other factors, a country's technological dependence is related to its ability to research and develop technology. According to the World Bank, investments in science & technology are directly related to a country's social and economic development in addition to its dependency upon foreign technology. Studies of radical innovations (new molecules and new associations) and incremental (inclusion of new therapeutic indication) are foreign cooperation, which shows the innovativeness of foreign companies. The globalization of clinical research is a relatively recent phenomenon, in which many of these studies are taking place on a global scale. With this process, it becomes necessary to strengthen legal and ethical guidelines for guaranteeing the research participants' integrity. On the other side, this process can be advantageous because, for example, it gives to access to innovative treatments to participants.